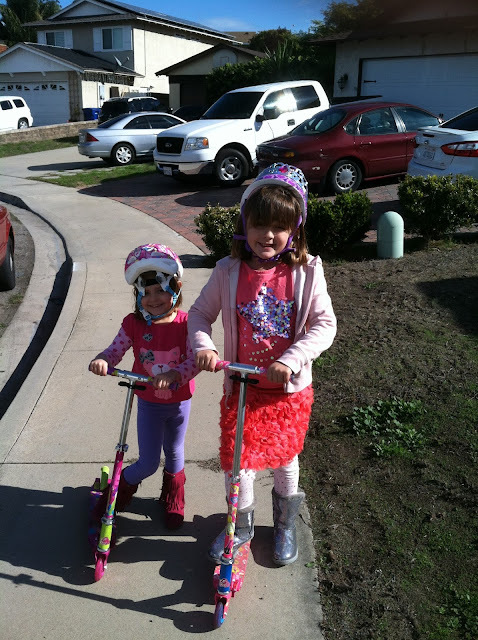 In a city not too far away, two lovely girls received scooters and helmets for Christmas. 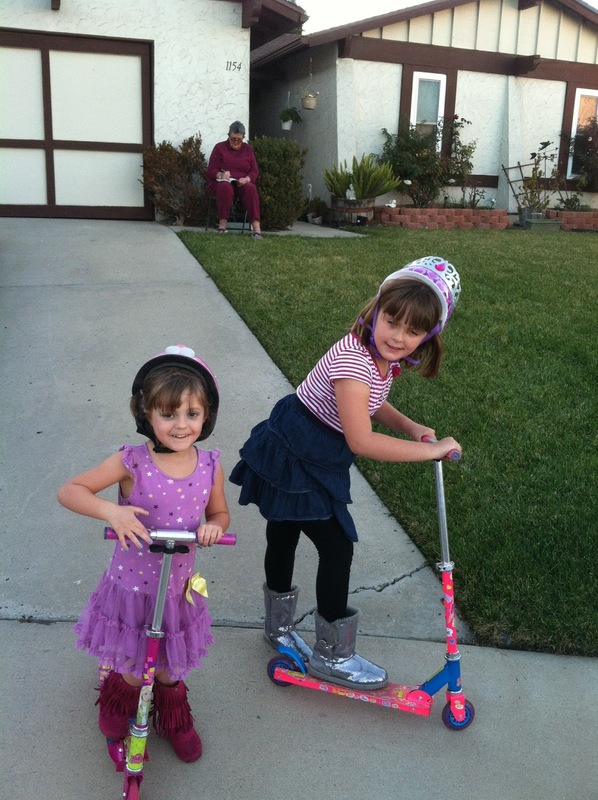 Then they came to visit Grandma and Grandpa, and Grandpa took photos of the lovelies and the scooters. Three weeks later they visited grandma and grandpa again, and brought their scooters again, this time they posed on our driveway next to our new "grass:"
I think this was in January 2013 and the turf had just been installed. Four-plus years have flown by. 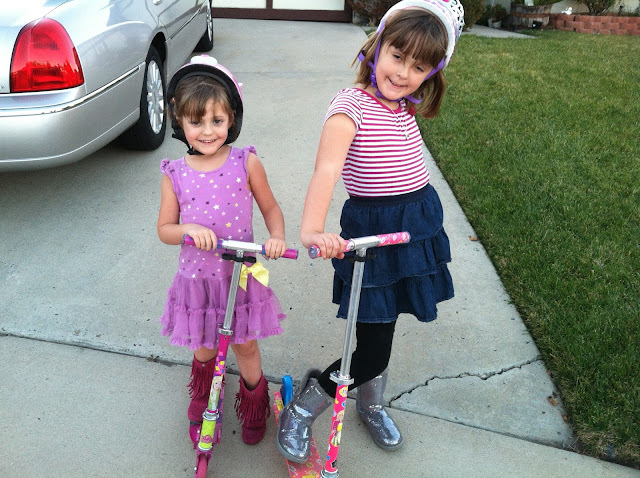 The lovelies are older now - they were 5 and 8 in early 2013. They still have the scooters and ride them occasionally.